Later this month the buildings are being put on the market by Police Scotland. It follows a public consultation on the future of the properties by the Scottish Police Authority. Across the country 30 buildings have been earmarked for disposal and the first tranche of 21 properties will be marketed by Shepherd Chartered Surveyors on behalf of the SPA. In Forth Valley, the offices at Bannockburn and Bridge of Allan have also been deemed surplus to requirements. 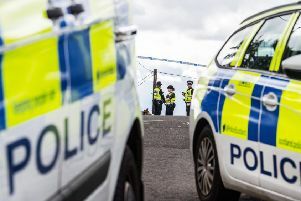 Last September, Police Scotland announced plans for a public consultation on the future of some of its buildings following an estate review. It said then it was considering closing 53 properties across Scotland that were “no longer required”.